As you may have seen in the recent news, the recycling industry has turned upside down since China has drastically limited the plastic it is willing to buy from recycling agencies across the country. 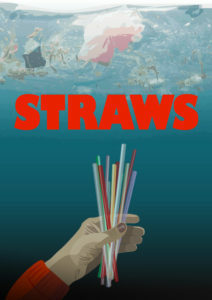 We will begin this film night with a screening of the short film “STRAWS” which takes a look at the rise of single-use plastics. Following the film, we will host a panel discussion to help sort out the confusion following the recycling crisis and what actions can be taken to reduce plastic waste. Please come with your sorting and recycling questions!